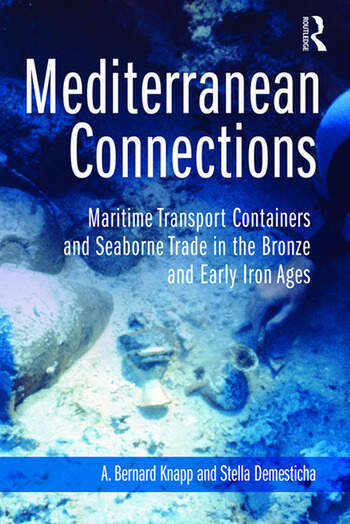 Mediterranean Connections focuses on the origin and development of maritime transport containers from the Early Bronze through early Iron Age periods (ca. 3200–700 BC). Analysis of this category of objects broadens our understanding of ancient Mediterranean interregional connections, including the role that shipwrecks, seafaring, and coastal communities played in interaction and exchange. These containers have often been the subject of specific and detailed pottery studies, but have seldom been examined in the context of connectivity and trade in the Aegean and eastern Mediterranean. discusses the wider impact on Mediterranean connections, transport and trade over a period of 2,500 years covering the Bronze and early Iron Ages. Classical and Near Eastern archaeologists and historians, as well as maritime archaeologists, will find this extensively researched volume an important addition to their library. A. Bernard Knapp is Emeritus Professor of Mediterranean Archaeology in the Department of Archaeology at the University of Glasgow, and Honorary Research Fellow at the Cyprus American Archaeological Research Institute. He co-edits the Journal of Mediterranean Archaeology with John F. Cherry and Peter van Dommelen and is the general editor of the series Monographs in Mediterranean Archaeology. Stella Demesticha is Associate Professor of Maritime Archaeology in the Archaeological Research Unit, Department of History and Archaeology, University of Cyprus. She specializes in maritime archaeology, with an interest in shipwreck amphorae, ancient seaborne trade routes and economy in the Eastern Mediterranean.